Pollution levels have been decreasing over the last 2 weeks with less lessons being modified due to high levels. We now have a pollution monitor on site and are using that for our readings which are being given in real time. Levels are currently highest in the mornings and have usually decreased by break at 9.40am. The pool temperature is now on the rise and we will soon start swimming again in PE classes. You will be informed through homeroom teachers, as well as the newsletter, when start dates have been set. Both Basketball and Football have resumed Saturday mornings, however, for the last 2 sessions    we have had no more than 6 students at either activity despite over 20 signing up for each sport. Our DP and MYP students are giving up their Saturday mornings to make this possible and therefore parents are requested to either notify myself, or the students in charge, if your child will no longer attend, or please turn up to practices regularly. For students to develop sporting skills, as well as any skills, they must practice regularly and show sustained commitment. Due to our recent high levels of pollution the decision was made to move the Middle School Sports Festival to ISH, Hyderabad instead of hosting here at MBIS. Thanks go to MBIS parents and athletes and the ISH community for their flexibility and agility in making this move possible. A group of 20 MYP 1, 2 and 3 athletes travelled to ISH last weekend to take part in both Football and Basketball. This is a developmental programme with athletes having to compete in both sports. Day 1 was Boys Basketball and Girls Football. 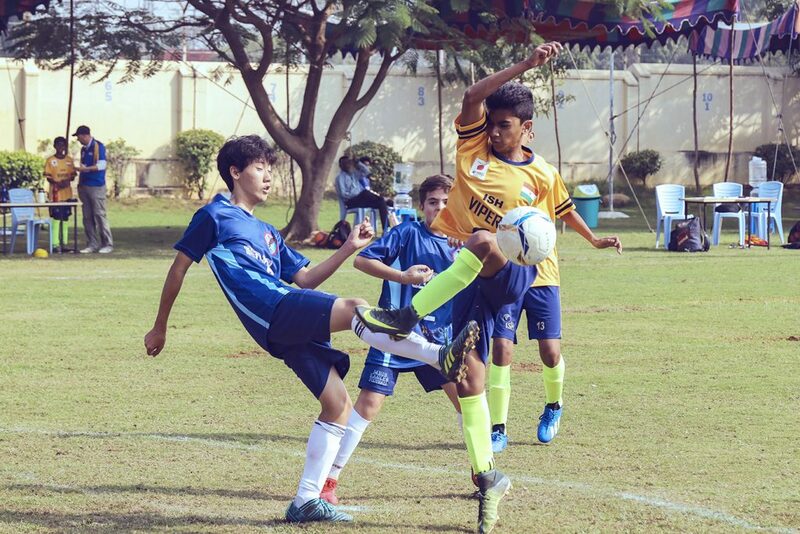 Our MBIS Eagles fought valiantly but started their tournaments with both teams being defeated by the host school. 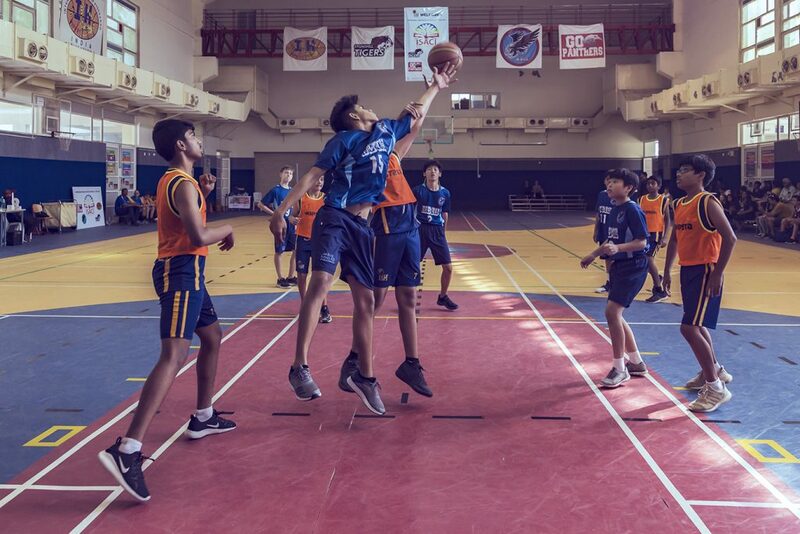 Our Boys Basketball team then clawed their way back into contention with 2 wins over SIS and TBS and finished the Basketball tournament in 2nd place. 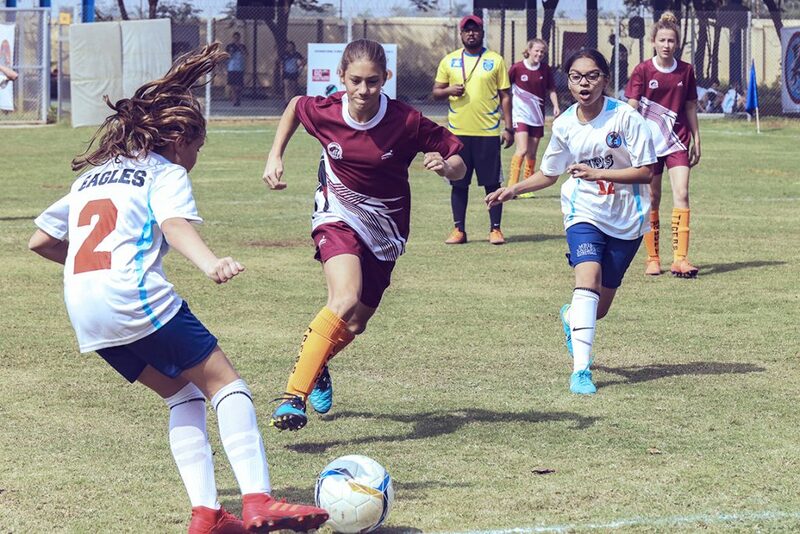 The Girls Football team found the going harder and despite many chances in very tight matches they were unable to secure a win and finished Football in 4th place. On day 2 the sports switched and our girls started their basketball tournament against the home school favourites. After an early loss they played in 2 close matches, their last being the most exciting of the basketball tournament. At the end of the match the girls fell 2 points short after closing an 8 point gap. Girls Basketball finished in 4th place. Out on the football field our boys team got away to a great start defeating ISH 4-2. All round, the boys tournament was extremely close with all 4 teams relying on the last match result to determine their final positions. On goal differential our MBIS Eagles finished in 2nd place. Throughout the tournament our Eagles displayed great leadership and sportsmanship. They learned valuable lessons about self confidence and competition and hopefully will be able to use these as they develop and try out for our senior teams. A great weekend for both teams. Congratulations to all players and coaches. The Girls Volleyball team is working hard to secure back to back titles this year when they travel to Hyderabad in early March. They recently travelled to Oberoi International School in Mumbai and came home with a 4 sets to 1 win. The travelling team will be selected shortly and travel letters will go home to parents after selection. Despite cricket being one of India’s National sports, our diverse cultural range of students here at MBIS means we struggle to field a team. We are hoping to finalise numbers this week and send our team along with Girls Volleyball, in early March to Hyderabad. Swimming is the only ISACI sport open to PYP 5 students. Practice starts Monday 11th Feb.
Students participate in 3 age groups with the cut off determined by the date of competition. Practices start on Monday 11th Feb with students expected at each session. Saturdays 9.00am – 11.00am (bus pickup and drop along Baner Rd. to One North). The team consists of 5 boys and 5 girls in each age group, therefore we are able to send a maximum of 30 swimmers to the tournament. Students may be asked to swim up an age group beyond their own. Remember PYP 5 students are eligible for this ISACI. Students can either sign up on the PE door or sign up at the first practice on Monday. Swim caps and goggles required. Please note this is swim team and not learn to swim.